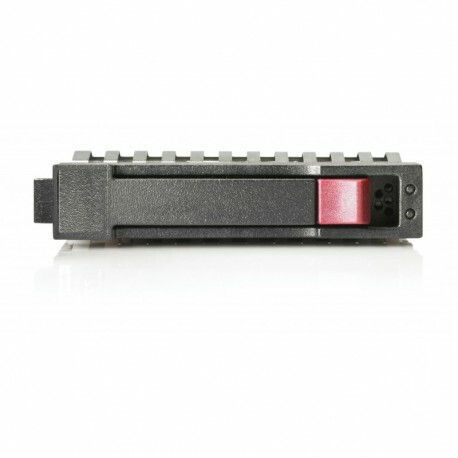 HP Serial Attached SCSI (SAS) hard drives are high-performance alternatives to SATA hard drives. SAS hard drives combine high-bandwidth and faster data transfer rates with better error detection and recovery, as well as having higher reliability specifications. HP SAS hard drives deliver high performance solutions for hosting high transaction based applications. Available in HP hot plug carriers or non-hot plug. The HP SAS hard drives come in both 2.5in (SFF) and 3.5in (LFF) industry standard form factors and are available in a variety of capacity points to meet a wide range of requirements. The SAS interface was designed and engineered for high availability, enterprise-class data storage where performance, reliability and data integrity are crucial.